Our Landscape Maintenance Division is fully equipped with modern well maintained equipment to manage maintenance contracts at commercial, industrial & residential sites throughout the Sydney Region. All our Technicians are fully qualified with formal qualifications including Horticulture and Chemical Certification training. Our Maintenance Manager is available to liaise with Clients and Property Managers to ensure a high level of consistency and client satisfaction is delivered. 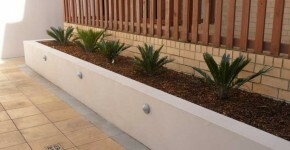 Examples of projects which Furnass Landscaping maintains can be seen below.